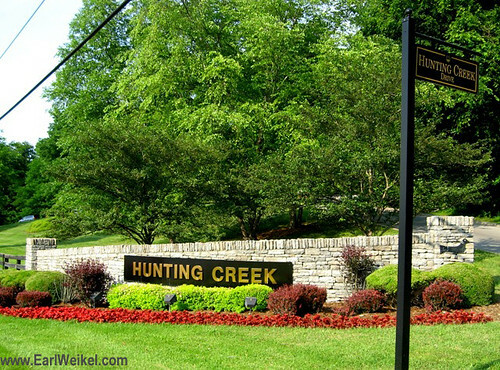 Hunting Creek and Hunting Creek Estates Prospect KY golf course homes in 40059 off US Hwy 42 at Hunting Creek Dr. Hunting Creek houses and condos for sale can range in price from $90,000 to $315,000, with an average size of homes running 700 to 6900 sqft. Saw a house or condo for sale, but not sure if it’s in Hunting Creek? Streets in Prospect’s Hunting Creek subdivision include: ASHDOWNE CT, AUTUMN HILL CT, AUTUMN HILL RD, CEDAR BLUFF CT, CEDAR RIDGE CT, CHARLOCK CT, CHESTNUT HILL CT, CHICKORY GLEN CT, COVENTRY CT, COVERED COVE WAY, CREEKVIEW, CROSSBOW PL, DEEP COVE CT, DEEP CREEK CT, DEEP CREEK DR, DEEP TRAIL CT, DILLARD CT, DOE CREST CT, FAIRWAY VIEW CT, FOX GLOVE CT, FOX MEADOW WAY, FOXCROFT PL, FOXCROFT RD, GRENOBLE LN, GUNPOWDER LN, GUNSTON LN, HARRODS VIEW CIR, HARRODS VIEW CT, HUNTING CREEK DR, HUNTING CREST DR, INDIAN SPRINGS CT, JOHN HANCOCK PL, LAUREL HILL PL, MONTERO CT, MONTERO DR, NARROW CREEK CT, PINE KNOLL CIR, RIDING RIDGE RD, ROCKINGHAM CT, ROCKINGHAM RD, SCENIC HILL DR, SCENIC HILL RD, SHADWELL LN, SHADWELL PL, SPRUCE HILL RD, STAR POINT CT, TALLWOOD CT, TALLWOOD RD, TIDEWATER CT, WESTOVER CT, WESTOVER DR, WEYANOKE CT, WILD FOX LN, WILLOW GATE CT, WOODROSE CT, WYTHE HILL CIR, WYTHE HILL PL.